Rick's Pocono Blog: A Pocono Family Owned Resort! Here in the Poconos, there are Resorts that offer a number of activities and opportunities to make Pocono Mountain family memories that last forever. At Daniels Top O The Poconos, they keep it all in the family. A Family owned Pocono Resort located in Canadensis Pa of the Poconos just off of Glenmere Road offers a number of family fun all year round. 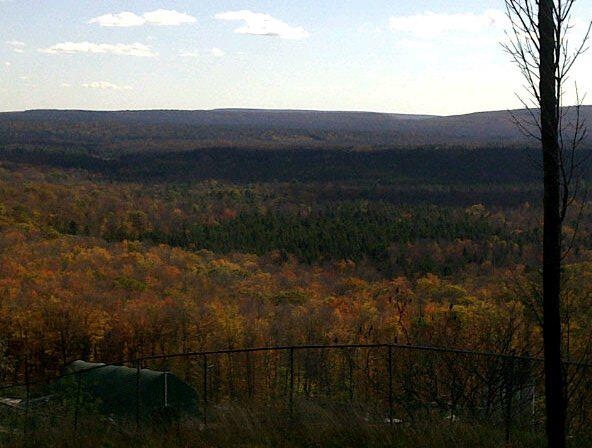 Daniels Top O The Poconos is located on a Beautiful country setting of 50 acres. Guests return year after year to the Pocono Mountains to be welcomed by The Daniels family with love and hospitality. Only 90 minutes from New York City and 2 hours from Philadelphia. The Daniels Family offers help to plan your next favorite event including weddings, sweet 16s, anniversary, holiday parties, or Daniels Family birthday bashes! The Mountain Lodge rooms at this lovely Resort offer 1,2, and 3 room accomodations that connect you to the dining rooms, indoor pool, hot tub, game rooms, children's craft, movie room, night club, and karaoke bar. This is an amenity filled Resort of the Poconos that offers fun indoors and outdoors. Sign out equipment and enjoy facilities at the Resort on your own time. Take a dip in one of the 3 Outdoor Pools at Daniels Top O The Poconos. Some other fun activities at this family operated Resort of the Poconos are full length basketball courts, three tennis courts, lit bocce court, shuffleboard, horseshoes, volleyball court, baseball/softball field, waterfall fishing pond and stream, and a childrens playpark! Check yourself into one of the many cottages, cabins, motels, or the beautiful hilltop. Full weekly programs at Daniels Top O The Poconos include activities and tournaments everyday for children and adults. Spend a relaxing Summer afternoon on the fishing pond, and then enjoy breakfast, dinner, lunch, and icecream daily! Come to the Poconos, and nestle into the prettiest family operated Resort in the Poconos this Summer!